An Iranian-born U.S. citizen living in Texas was accused Tuesday of plotting to assassinate the Saudi ambassador to the United States with help from a Mexican drug cartel. 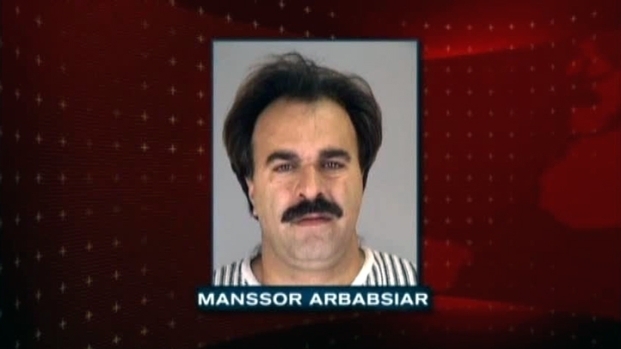 Manssor Arbabsiar, 56, was charged along with Gholam Shakuri, whom authorities said was a Quds Force member. Arbabsiar has lived in Corpus Christi, Pflugerville and Arlington, records show. Arbabsiar unknowingly hired an informant from the Drug Enforcement Administration to carry out the plot, prosecutors said. Posing as a member of a Mexican drug cartel, the informant met with Arbabsiar several times in Mexico, authorities said. The price tag was $1.5 million, and Arabsiar made a $100,000 down payment. An Iranian-American who lives in Texas is accused of trying to hire a Mexican drug cartel to assassinate a Saudi Arabian diplomat. Shakuri remains at large. Arbabsiar was arrested Sept. 29 at New York's John F. Kennedy International Airport. He was scheduled to appear in federal court Tuesday. Prosecutors said he faces up to life in prison if convicted. In Pflugerville, Arbabsiar's former wife said the couple has been separated for a long time. "This is going to jeopardize our lives, our jobs," she said Tuesday night. "We don't want that. My family and I, we just want to be in peace and move on like we were. We have absolutely nothing to do with this." Neighbors said they had seen Arbabsiar at the house as recently as last month and added that he sometimes acted strangely, pacing in front of his house and talking loudly on a phone in a foreign language. Attorney General Eric Holder said the United States would hold Iran accountable. Holder said the bomb plot was a flagrant violation of U.S. and international law. "We will not let other countries use our soil as their battleground," Preet Bharara, the U.S. attorney in Manhattan, said at a press conference in Washington with Holder and FBI Director Robert Mueller. Bharara said no explosives were actually placed, and no one was in any danger. FBI Director Robert Mueller said many lives could have been lost in the plot to kill the ambassador with bombs in the United States. Holder said the U.S. government would be taking unspecified action against the Iranian government as early as Tuesday afternoon. Asked whether the plot was blessed by the top echelons of the Iranian government, Holder said the Justice Department was not making that accusation.